C-Kore Systems are pleased to announce a new subsea testing tool, the C-Kore Sensor Monitor. The Sensor Monitor can be used in decommissioning, fault-finding and construction campaigns to provide feedback from subsea sensors, such as wellhead pressures and temperatures, even when a subsea datalink is not available. During decommissioning or construction, the C-Kore Sensor Monitor can be used to ensure well head pressures are within safe limits for divers and prevent unintended release of hydrocarbons into the environment. For fault-finding campaigns, it is deployed to diagnose faulty sensors without using downlines and prevent unnecessary and expensive sensor change-outs. The C-Kore Sensor Monitor allows for fast, automated reading of subsea sensors. It supports an extensive range of pressure, temperature, positional and other sensors, and does not require any subsea infrastructure or downlines to operate. 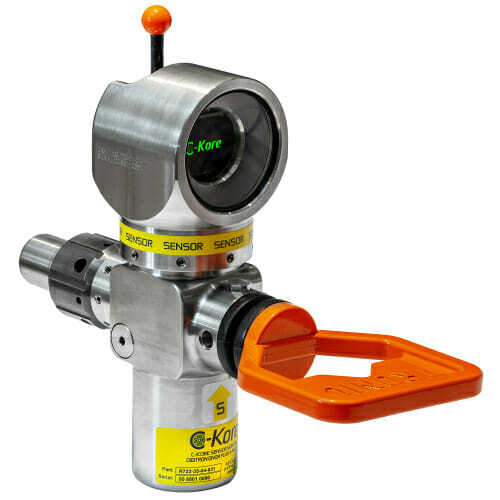 The design of the Sensor Monitor follows C-Kore’s principles for all their tools: make subsea testing simple. C-Kore Systems are showcasing their new C-Kore Sensor Monitor at Subsea Expo next week in Aberdeen, where we are also nominated for the Innovation & Technology Award. Come visit us on stand 37! For further information on our innovative subsea testing technology, please visit our website, www.c-kore.com.